Hiring the roofing professionals of Twin Pines ensures quality installation for your new roof. It also has the benefit of a roof warranty. Great roofing manufacturers offer extensive coverage because they have confidence in their quality materials, manufacturing methods, and standard of excellence. Twin Pines is an Owens Corning Preferred Contractor. That means we’re licensed and insured, we’re committed to customer service and quality, and we’re in good standing with the Better Business Bureau. It also means we’re certified to offer Owens Corning’s extended Roofing System Limited Warranties, which provide up to a lifetime of workmanship coverage. Twin Pines is a CertainTeed Master Applicator. We offer the CertainTeed 4-STAR SureStart Plus Warranty for roofing. The warranty covers 50 years for single-family detached houses and 25 years for all other types of structures. When repairing or replacing defective shingles, this warranty applies to 100 percent of the cost of the shingles, as well as the cost of the labor to repair or replace defective shingles. The warranty is transferable from the original property owner to the first subsequent owner. A new roof is a big investment. When we discuss manufacturers and materials with you, we’ll walk you through the details of any product warranty or installation warranty available to you and answer any questions you may have. 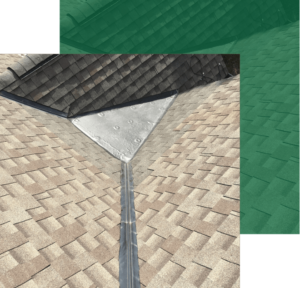 We want to make sure you have a high-quality roof that you can depend on for years to come. Twin Pines serves homeowners in all of Ozaukee County and southeastern Wisconsin. When homeowners look for roofing companies in the Milwaukee area, they should investigate the reputations of the roofing contractors. Do they have positive reviews? Do they address their customers’ problems? Are they rated by the BBB? View their Google, Angie’s List, and Facebook reviews to get a look at how they treat homeowners. Twin Pines is proud of its reputation as Mequon’s best roofing contractors.